DIY Pom Pom Letters for MOM! With Mother’s Day around the corner it’s time to figure out how to celebrate this special gal in your life. Looking to keep the kids busy this weekend? 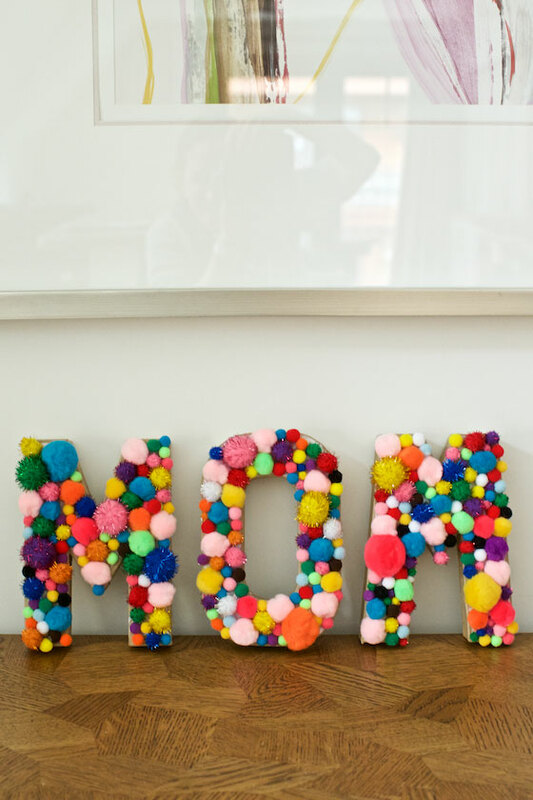 Have them make these DIY Pom Pom Letters for MOM! All you need for this craft are some cardboard letters (you can also cut letters out of poster board) pom poms and craft glue. Make sure your pom poms are all kinds of colors and sizes. I love the sparkly ones. Spread the craft glue all over your letters. Then stick on the pom poms. Your project will be dry in a few hours. This craft would also be really fun for birthday parties. 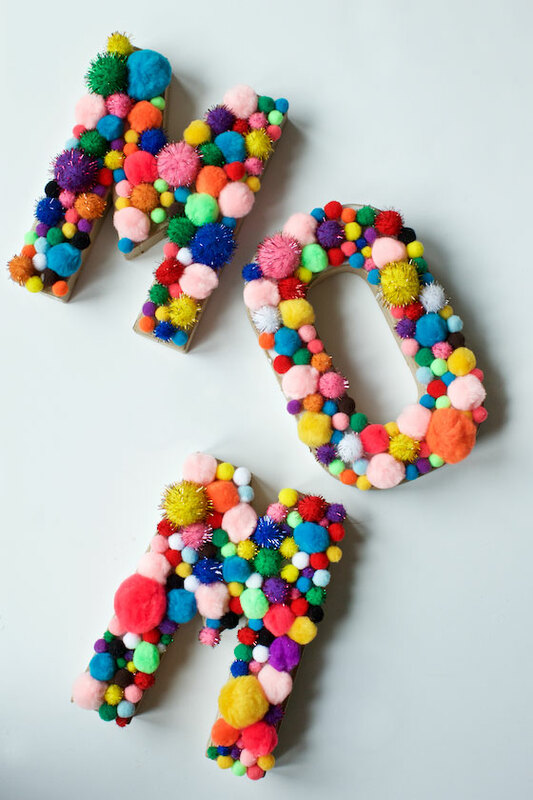 Spell the birthday girl or boys name in pom poms…choose poms that fit your color theme. Also, turn these letters over and they spell WOW! A fun way to brighten any room. You can hang them too. Happy crafting! Tag your projects on Instagram with @MarlaMeridith I would LOVE to check out your creativity. I. LOVE. THIS. Not just for mom but for EVERYTHING. Those are SO CUTE!!! I am going to have the girls do this for their grandmas! Too cute, such a fun idea for Mother’s Day or any party/celebration!